PM Modi and Thackeray will address a public gathering in Latur in support of alliance candidates there and Osmanabad, where polling will be held on April 18. 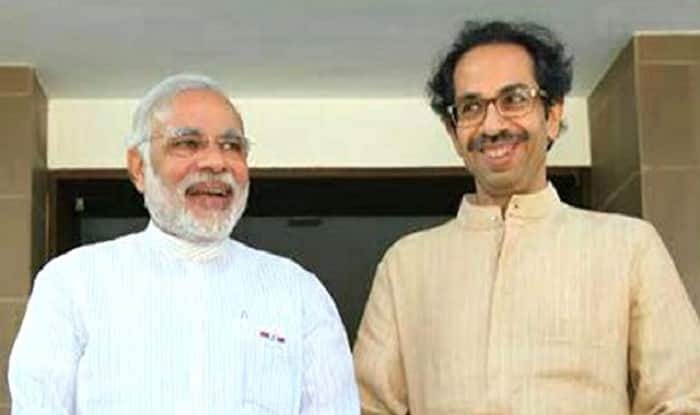 New Delhi: Putting the past behind them, Shiv Sena chief Uddhav Thackeray and Prime Minister Narendra Modi would campaign together today. The two leaders would share a dais after 28 months for an election rally in Latur, Maharashtra. The Shiv Sena had long been disapproving of the state government as well as the Centre, despite being an ally, and had even announced that they would contest the Lok Sabha elections alone. However, BJP chief Amit Shah visited Thackeray at his residence and the two parties managed to reach an understanding for the polls. Post-alliance, Thackeray seems to have warmed up to Chief Minister Devendra Fadnavis, BJP chief Amit Shah and Modi. He has even held joint rallies with the chief minister. Now, PM Modi and Thackeray are scheduled to address a public gathering at Ausa in Latur in support of the alliance candidates in that district and Osmanabad, where polling will be held on April 18, BJP spokesman Keshav Upadhyay said. The last time the two shared the dais was in December 2016 in Mumbai at a function to lay the foundation stone of the Chhatrapati Shivaji Maharaj memorial off the Arabian Sea. Of the 48 Lok Sabha seats in Maharashtra, the BJP and Sena announced to contest 25 and 23 seats, respectively. Earlier, the two parties had gone their separate ways after the 2014 Lok Sabha polls and contested the Maharashtra Assembly elections held later that year individually. Polling in Maharashtra will be held in four phases on April 11, 18, 23 and 29, and the results will be declared on May 23. After the Latur rally, the PM would move further to Karnataka where he would hold rallies in Chitradurga and Mysuru. Later in the week, he would be addressing three rallies at Koppal, Mangaluru and Bengaluru. On April 18, he would also hold rallies in Bagalkot and Chikkodi. The venues have been chosen so as to cover the entire state. The very first public rally will be held in Chitradurga on Tuesday noon and Modi will land at Mysore Airport in Mandakalli at 4.40 PM. The PM’s cavalcade will move from Mandakalli to Maharaja’s College Grounds. He will address a rally at 4.50 PM. Reports say PM Modi is the first VVIP to arrive in Mysuru to canvass for BJP candidates in the poll-bound Mysuru-Kodagu and Chamarajanagar Lok Sabha constituencies and the city police have made elaborate security arrangements. Then, the Prime Minister is also slated to address an election rally in Coimbatore, Tamil Nadu, the same day in support of BJP candidate C P Radhakrishnan. Meanwhile, BJP chief Amit Shah would hold a roadshow in Puri. The BJP has fielded party’s national spokesman Sambit Patra as its candidate for the Puri Lok Sabha seat.